Grand Cape Mount is a county in the northwestern part of Liberia. It has five districts with Robertsport as the capital. The territory of the county occupies 5,162 square kilometres (1,993 sq mi). 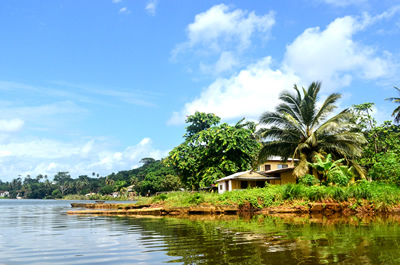 According to data of the 2008 Census, the population of Cape Mount numbered 129,055 people, being the eighth most populous county in Liberia. Cape Mount borders with Gbarpolu County to the northeast and Bomi County to the southeast. To the north Grand Cape Mount borders with Sierra Leone, and is washed by the Atlantic Ocean on the west. The Portuguese navigator Pedro de Sintra sailed to the Cape in 1461, and named it Carbo de Monte which means Cape Mount. The area became famous as the Grain Coast because melegueta pepper, the "grain of paradise", which was as valuable as gold and served as the region staple at that time, was grown there. On July 26, 1847 Liberia got its independence with three counties: Montserrado, Grand Bassa and Sinoe. At first Grand Cape Mount was part of Montserrado County but in 1856, it was excluded from Montserrado by a legislative act and became the fifth County in Liberia. From 1822 until the Liberian Declaration of Independence from the American Colonization Society in 1847 more than 3,198 ex-Caribbean slaves escaping from their slaveholder or those who were born free left the Caribbean islands to arrive to Liberia. Supported by the American Colonization Society and other organizations the ex-Caribbean slaves came to Liberia in search of better life and freedom. The ethnic composition of first ex-Caribbean slaves was diverse. 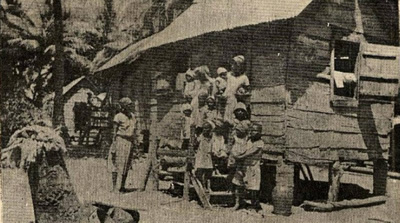 The first group came from Barbados, the second group of settlers was from Trinidad and Tobago, followed by ex-Caribbean slaves from saint Vincent and the Grenadines, as well as from Saint Kitts, Nevis, Grenada and Saint Lucia. Later the ex-Caribbean slaves moved across Grand Cape Mount, Bomi County, Montserrado County Margibi County and other regions of Liberia in search of better jobs and other opportunities.